It's the Rheo Thing: "Plastic Debris in the Open Ocean"
The Proceedings of the National Academy of Sciences has an early online report regarding ocean plastic and the results are not exactly supportive of what is commonly accepted. 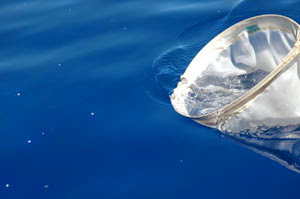 In particular, the research found a profound absence of very small plastic pieces and thereby a corresponding lack of total plastic in the open ocean. 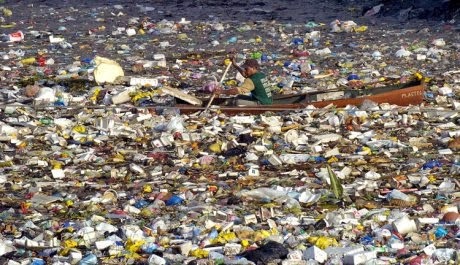 Before I get to far into the details, let me review a few basics about ocean plastic. 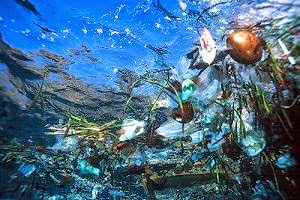 Plastic debris has no business being in the ocean. None. It should be disposed of properly on land - end of story. The fact that there may be less plastic in the oceans than previously thought is a nice way of saying "it's not so bad". It's still bad. 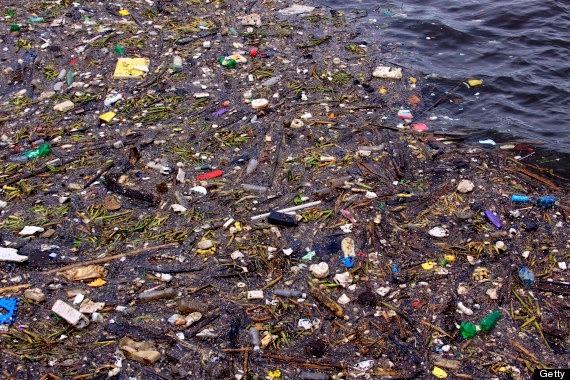 There is still way too much plastic in the oceans that shouldn't be there. There are no islands of plastic the size of Texas (as supported by the complete lack of satellite pictures of such floating structures). A thin soup of small plastic pieces, very dilute. Sadly, that dilution makes it all the more challenging to enact an economical recovery of the plastic. And so it just sits there and we can do little about it except striving to not add to the problem. This new report is based on a circumnavigation expedition that sampled around the world and also on previously published reports. To get to the heart of the matter, look at Figures 3A and B shown on the right (I had to throw in 3C as well just because the particle size scale is below 3C and I didn't feel like cutting and pasting that much.) 3A shows a particle size distribution (the bars are for nonscaled data, while the circles when the data has been normalized by width of the particles. In both cases, the distribution falls off rather quickly below about 1 mm, giving us a normal or normal-like distribution. While normal distributions are the rule across much of science, that is not what is expected here. Rather a log-normal distribution should be seen. Figure 3B shows with the blue circles the normalized abundance of the pieces, while the red circles show what should be expected if the particles break down in any sort of conventional scheme. That such a particle size distribution is expected is further supported by Figure 12S-B in the supplemental information, where for non-plastic pieces collected during the trip, there is not a falloff in the number of small particles. The authors speculate on a number of causes for this falloff but more research is needed. The significance of the falloff however cannot be underestimated. While these particles are small in size, there should be a tremendous number of them. This surprising lack of small particles what then leads to the conclusion that there isn't as much plastic in the oceans as was previously thought. Although the Fourth of July is over, there will still be plenty of fireworks around as some environmentalists go on the attack and some conservatives use this paper as kindling for their torches.